A power plant produces electrical energy. Depending on the process of energy conversion there are nuclear power plants, thermal, gas turbines, pumped hydroelectric energy storage, etc. The substation is a facility responsible for the conversion and distribution of electricity. Now the standard for AC frequency is 50Hz or 60Hz. The three-phase electric power is more economical than single-phase power transmission. In addition, three-phase power allows to use low-cost simple induction motors and is used by electric motor drives of industrial machinery. DC is also used in industry, but not as often (electrified transport, electrolysis in chemical and non-ferrous metallurgy). 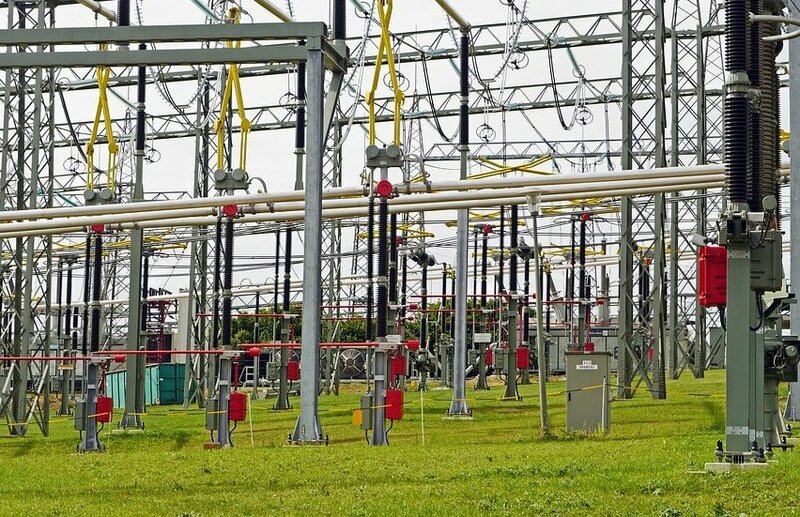 Also, DC is used in transmitting electricity over long distances at the voltage of 800 kV. Nominal voltage is an important parameter of electric appliances. It is the voltage at which electrical devices are designed to work. The nominal voltage of a transformer generator, its secondary windings and a synchronous capacitor is calculated 5-10% above the voltage of electric grid. Reduced power reserve of the energy system. Maximizes efficiency of energy system.